The music for this piece is found in Audubon Park Psalter – Year C.
Written to serve as a wedding processional and premiered on a small two-manual organ, the video below shows how the piece can also make use the solo tuba of a larger instrument. The score may be purchased as a download for $8. The Chrism Mass is the annual celebration where the archbishop blesses the oils for use throughout the archdiocese and the priests renew their vows of service. It is one of the events that generally fills the Cathedral every year. As with other special diocesan celebrations, these are people that have chosen to be here, so are willing to sing and participate. Here’s the responsorial psalm (from the Audubon Park Psalter)recorded by my iPhone placed on the organ console in the balcony. Brass are to my right. Choir is on the left, and the cantor is in the pulpit half-way down the building. Thanks to the snow storm, I was able to spend a couple of hours at the Cathedral today practicing. After some more technical exercises, I started flipping through the hymnal and improvising on different tunes. Marty Haugen’s ‘Gather Us In’ is an up-tempo tune that is more often associated with piano and guitars than the organ. I decided to slow it down and spice it up a bit for a more relaxing prelude style piece. Enjoy! This is my first video recorded at the Cathedral of Mary, Our Queen in Baltimore. There are two identical consoles for the organ at the cathedral and pipes at each end of the building. This excerpt from my Suite in French Classical Style on Vexilla Regis was recorded from the console in the sanctuary using only pipes from the gallery. Watch carefully to notice the delay between my fingers and the audio! Preparing for the two organ duet concerts with Jaime Carini created a very intense week. I hope you enjoyed the video from our first day of practice in the last newsletter. ( Click here in case you missed it or to see it again.) We also posted Promenade by Dello Joio from our practice session in Daytona here. By far, the most popular piece on the program was the set of waltzes by Johann Strauss Jr. transcribed for four feet. These were very challenging to learn as we often found ourselves playing the exact same notes right after each other. We had to practice slowly and watch where and how we moved to each note in order to make sure we didn’t step on each other or keep the other person from getting to the proper location. We even took a little video to see if we could spot any better ways to stay out of each others way. Have a look and see for yourself: Pedal Practice for Strauss Waltzes. It was a great joy to play the US premier of movements from The Apostles by Naji Hakim. We have audio and video from both concerts, and I hope we will receive permission from Hakim to post a couple of excerpts on YouTube. 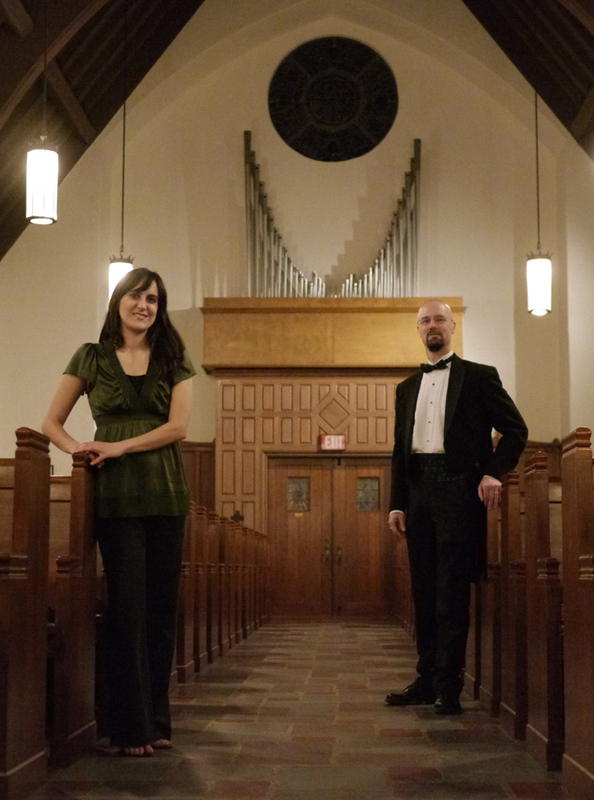 We enjoyed doing these concerts together, and we both hope to be able to play the pieces again in other locations as well as actually learn all the movements of The Apostles. After putting Jaime on the plane early Monday morning, I went up to Leesburg that evening to play for a rehearsal of The Crucifixion by John Stainer at Morrison United Methodist Church. When I last played the piece, I burned my hand the week before the concert, so had to play the piece using basically only my right hand and pedal with a few single notes by my left hand and a little assistance from my page turner for a couple of passages where Stainer requires the organist to play on two separate manuals. 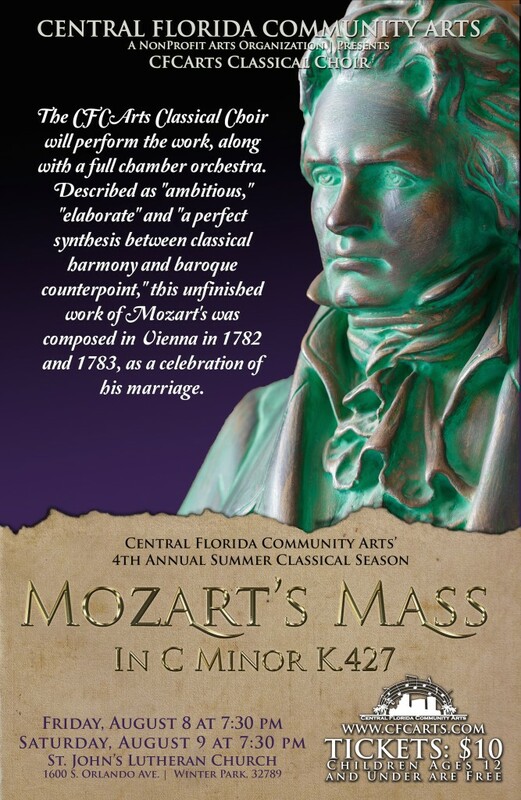 The concert is tonight at 7:30 pm. I am looking forward to it as not only a wonderful musical event for the Lenten season, but also as a chance to finally play the piece uninjured and pain free! Even though I know many of you are not able to attend these events in person, I hope that the clips on YouTube provide some entertainment. Once this set of concerts is over, I hope to be able to post more videos of performances and improvisations in the next few months. I also wish to continue exploring how music gets both to and from the written page. Hoping spring arrives in April!